The land of Israel was literally given to the 12 tribes/sons of Jacob. Deeded and sealed by Hashem the true owner and creator of this world. Tzfat is located inside the portion of Naftali (the letters of whose name, when rearranged, spell out TEFILIN) in the eastern Upper Galilee, also included in Naftali's portion the beautiful mountain region around Tzfat and Meron, the Kinneret and the lush valley of the upper Jordan. Safed, Zfat, Tsfat are other names for the same magical city. If you are Jewish then you have a spiritual connection to this land. And also a responsibility to this land which is your homeland. A story: a Jew was in Hungary in the 1800's . He met a farmer who was very connected to his land. Sometimes he would put his ear to the ground and it seemed to sing to him. He actually heard something from the ground and he would dance to the music he heard. So the Jew laid his ear to the ground and stayed very quiet listening. "I do not hear anything," said the Jew. "Where are you from," asked the farmer, "where is your home?" The Jew answered, "I am a Jew." The farmer said "this is not your land, of course you do not hear anything. You must go to your land ." 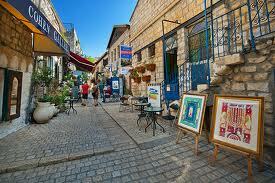 Today Tzfat is a vibrant community with more than 2000 english speakers living here. Our major industries are tourism and Torah. The largest employer is the govt. Tzfat is home to the northern command military instalations. The hospital is a large industry in Tzfat. We are not high wage earners in Tzfat. One of Israel's poorest cities almost half of our community receives some sort of economic assistance. Per capita we a very rich in synagogues, new and old, Sfardi and Ashkenazi. Tzfat has a wonderful reputation of inclusion and acceptance religiously. You can walk into almost any shul and be welcomed regardless of your kippa. A wonderful place to live, quiet, slow moving city. However if you need to earn a living here, it could be a bit challenging. Many families in Tzfat do not own a car. It really is a city for walking. Everyone in Tzfat gets regular exercise. We do not have one traffic signal in the entire city. Beautiful, creative, round-abouts serve instead. The seasons are more pronounced in Tzfat than in the rest of Israel. We really do have winter, it is windy, cold, and hopefully wet, for many months. Allows for a full wardrobe of clothing. 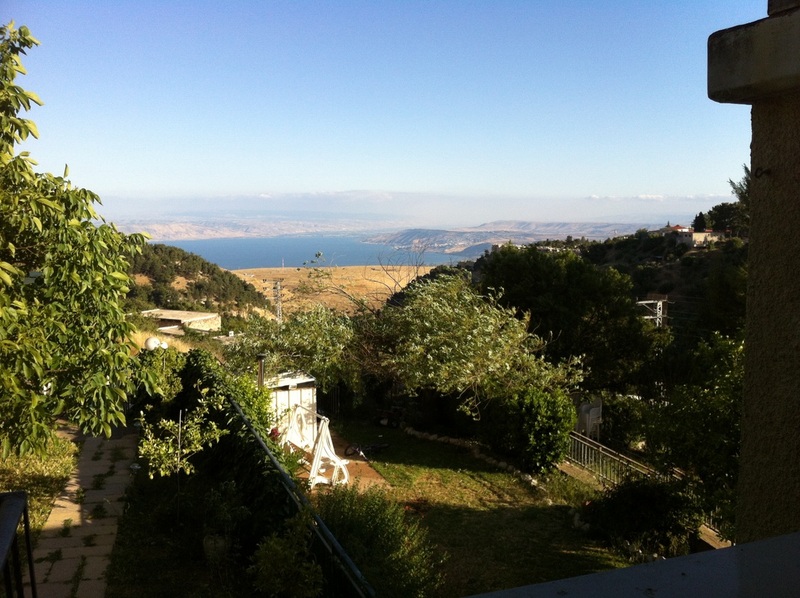 Our mission at Tzfat Real Estate is to bring clear English real estate resources to the English speaking community. Integrity and honesty guide us on our path of service in this holy and righteous city. We aim to bring value to our customers, and receive rewards from our work.